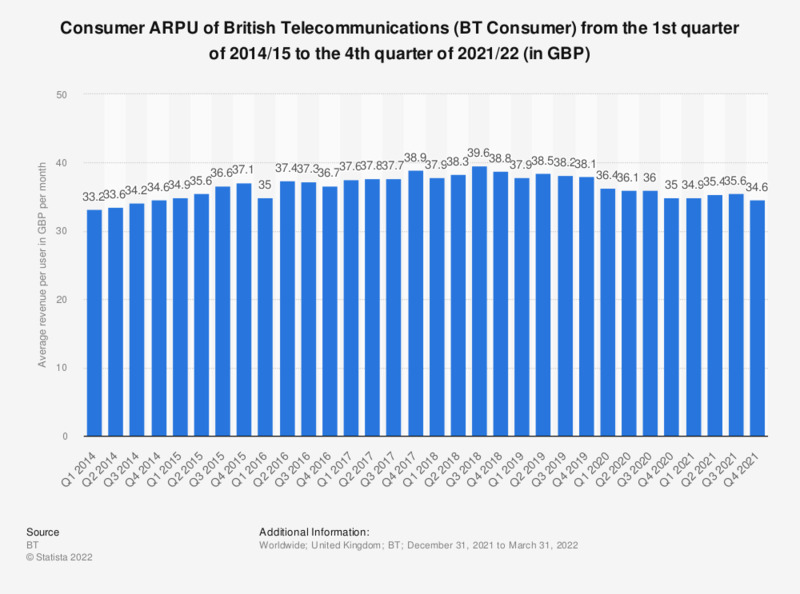 This statistic shows the Consumer ARPU of British Telecommunications (BT Consumer) from the first quarter of 2014/15 to the third quarter of 2018/19. In the fourth quarter of 2017/18 ending March 31, the ARPU was 38.9 British pounds per month. BT Consumer financial year ends 31 March.